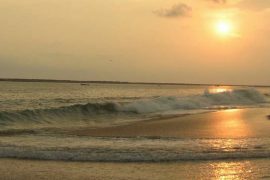 Kerala is one of the best tourist destination in Asia. Tourists are attracted to best tourist places in Kerala like Thekkady, Kochi, Munnar etc. We are providing services to our clients as per their convenience and interests. Arrival in Cochin (air/rail), and check-in to the hotel. You will start city sight-seeing in the afternoon. Cochin is known as the ‘Queen of the Arabian Sea,’ and here you can see the famed Chinese Fishing Nets while exploring various parts of the port city like the Jewish Synagogue, Dutch Palace, Vasco de Gama Church, Jew Town and Marine Drive, the city’s picturesque promenade. You could opt for an Evening Harbor Cruise in the backwaters of Cochin, or go shopping – the markets are teeming with high-quality Kerala Textiles, Spices, Handicrafts, and loads of other mementoes to take back home, before retiring back to the hotel for an overnight stay. After a hearty breakfast, you will head off south towards the cool and misty mountains of Munnar (4 hours/135 km’s travel). On the way, you will visit the Cheeyapara Waterfalls, Valara Waterfalls, Karadi Para Viewpoint and other interesting spots, before checking in at the hotel. 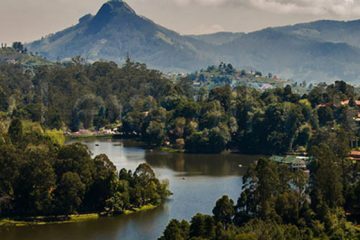 In the afternoon, you will go for a walk in Munnar Blossom Park and Pothenmedu Viewpoint, and in the evening, take a stroll around in the old town. 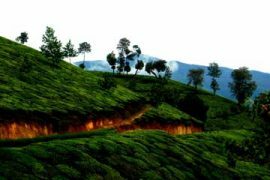 While in Munnar, don’t forget to pack up on world class tea and tea dust that comes directly from the local plantations. Retire back to the hotel for an overnight stay. After a wonderful breakfast, you will visit Madupetti Dam, Kundala Lake, Echo Point and Top Station. 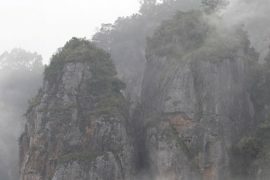 You can also hop on for a speed boat cruise at the dam, before going over to the Iravikulam National Park in Rajamala. Here, let’s see if you can spot the mountain goat, Nilgiri Tahr (Nilgiritragus Hylocrius). In the evenings, take a short visit to the Munnar Tea Plantation, before retiring back to the hotel for an overnight stay. After breakfast, you will check out and head off to Thekkady (Periyar). This is an 110 kilometres trip that span takes up to approximately 3 hours, with Cardamom plantations along the way. Check in at the hotel, and in the afternoon, get out and about for sightseeing in Thekkady. 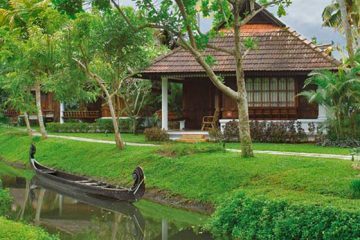 Here, you can visit the Spice Plantations, take an Elephant Safari, have an Ayurvedic Body Massage, go for boating in the Periyar Lake, or view a Kathakali performance for a quintessential Kerala experience. All are extras, with payments done directly. Over here, you can have opportunities to see Elephants, Tigers, Deers, Monkeys, Wild Buffaloes, and a wide variety of Birds from all over. Before returning to the hotel for an overnight stay, visit the local markets for one of the best quality spices in the world. After breakfast in the morning, you will check out from the hotel, and go to Kumarakom. 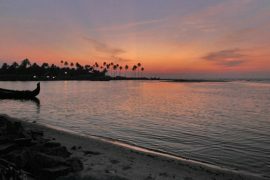 Known widely for its alluding backwaters, Kumarakom is quite popular among locals and tourists. After checking in at the hotel, you will visit Kumarakom Bird Sanctuary and the Backwaters. While relaxing in the Backwater Resort, you can also choose to go for boating at Vembanadu Lake, the largest freshwater lake in Kerala. Then, in the midst of coconuts and lagoons, you can retire for the night; back to the hotel for an overnight stay. In the morning after breakfast, you will disembark the houseboat, and go to Cochin Airport or Railway Station for departure. After having relaxed the body, and rejuvenated the mind, you will go back home with some pleasant memories of the trip. Come back soon!